Thanks to Mrs. Carter, aka the one and only Beyonce, a storied German leather brand is having a major comeback. The Queen B’s MCM moment happened in her music video for APES**T, where she is seen in a custom look that includes a bustier, earrings, trench coat, and cap. The ensemble played well with her logo loving fan base and the impact on MCM was almost immediate. 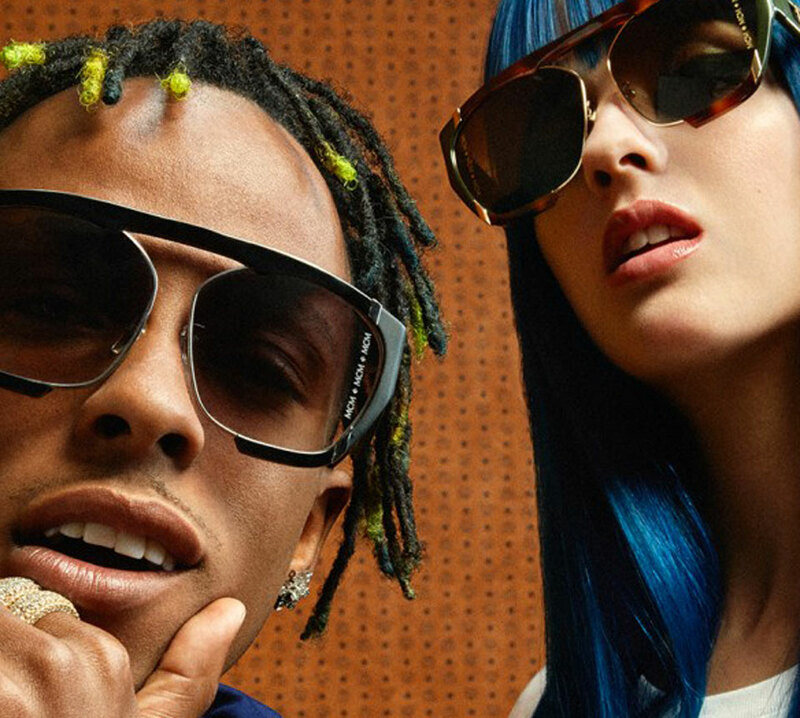 To follow up on that momentum, the heritage brand that lauds craftsmanship and global exploration tapped U.S.-based rapper and producer Rich the Kid and Spanish model and DJ Sita Abellan to front the campaign for Fall 2018 collection titled “Avatar”. With this bold statement that signals a shift in perspective the house explores a futuristic, hip-hop-inspired parallel universe. “The MCM collection is influenced by hip-hop and we wanted to celebrate that, bring it to now and then really add some futuristic ideas,” said Joerg and Maria Koch, creative directors for the campaign and founders of 032c magazine, who collaborated with MCM for this campaign. The choice of ambassadors pulls on youth culture and essentially down ages the brand. Both up-and-coming stars are popular among younger generations—Rich the Kid is a rapper and producer on tour this summer, and Abellan rose to stardom when she was featured in Rihanna’s “B—h Better Have My Money” music video, later walking the runway at Rihanna’s Spring 2017 fashion show, DJing for Jeremy Scott, and gaining a heavy presence on social media.